The Hispanic American Leadership Organization hosted the sixth annual Kansas State Belleza Latina Saturday in K-State Student Union’s Forum Hall, attracting over a hundred people to witness the crowning of Yulisa Enriquez as this year’s pageant winner. 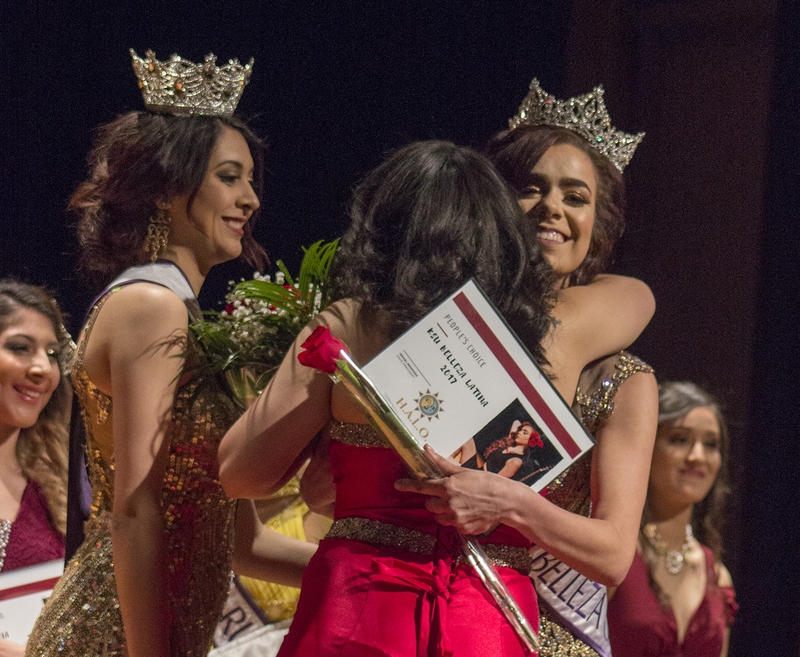 Six women competed to win the crown, as well as scholarships funded from the proceeds of the event. As the winner of the competition, Enriquez will receive a $500 scholarship and Vanessa Sastoque, sophomore in business management and first runner-up, will receive a $250 scholarship. In an email sent out to judges of the competition, Israel Mendoza, senior in electrical engineering and president of HALO, said the pageant provides an educational opportunity to the young women to participate through scholarship with the purpose of promoting Latino culture on the K-State campus. For six weeks, the women worked on choreography, a talent, public speaking and walking. The contestants wore red roses and Flamenco-styled dresses during their opening number to showcase the Spaniard theme of the evening. Some of the talents included dancing, a magic act, an inner thoughts monologue and speed painting. The contestants were graded on the opening number, swim wear, talent, Q&A, as well as a pre-pageant interview Friday night. 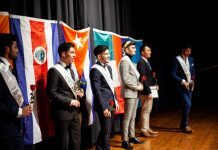 The pageant provides the participants an opportunity to affirm their racial and cultural identity by sharing their traditions and culture through the competition categories, Mendoza said.